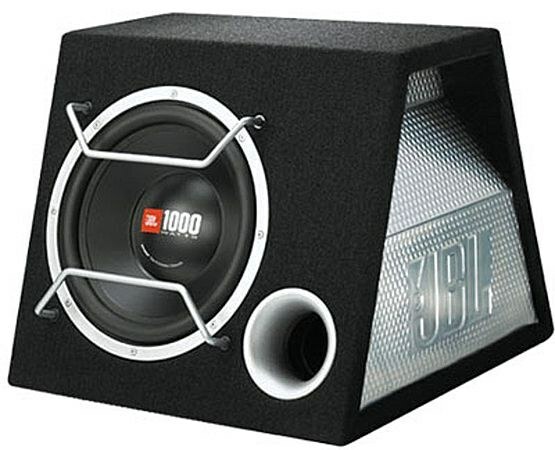 If you want to have in your car the music sounded not only loud, but also high quality, you will need an active subwoofer. He will immediately expand the range of sounds, add bass, and, of course, volume. If you decide to mount it yourself, be prepared to Tinker. Remove your radio. Immediately view, does it have line outputs. If there is, consider yourself lucky. You will have the opportunity to tune the pairing of the subwoofer with the speakers. If no line-level outputs, then connect it will be more difficult to configure have from the trunk, which is not very convenient. Typically active subwoofers installed in the trunk of the car. This is due to the size of the device. Place it in the cabin without the loss of usable area you will fail, so immediately focus on the trunk. Spend there a control wire from the radio, plus power and minus power make. Take multi-strand power cable of suitable length. You will need to make a negative lead, respectively, to connect a subwoofer without the linear outputs. The cable section must be at least 6 square millimetres. You can buy it at any market. Locate the bolt that is bolted to the body. Clean it from the paint that was good contact between the metals. Wrap around this bolt is a coil of power cable. Then tighten the bolt so that the cable is securely pressed. This is a very simple design and will be a power disadvantage, which will be used to connect a subwoofer. Take another power wire at least 6 square millimetres. He will need to do the power plus. Route it through the interior to the trunk of a car. In the partition between the engine compartment and the cabin should be a small hole. If not, take a drill and drill. Insert the cable into the hole, wearing it on the rubber grommet. It is needed in order to protect the cable insulation from abrasion. Connect it to the positive battery terminal. Take the plastic clips. With their help secure the wire along the entire length of contact. Embed the holder with the fuse in the power cable near the positive battery terminal. In the absence of line-level outputs use high-amplitude inputs built-in amplifier. Connect the control cable to the subwoofer. Connector high-amplitude inputs connect to the speaker system. Do not forget to observe polarity. Move into the trunk signal and the trigger wire in the trunk connect to pads built-in amplifier. Review the wiring diagram. In accordance with her perform all the switching. Then configure the sound. After the setup is finished, return the radio to its original place and secure the subwoofer.